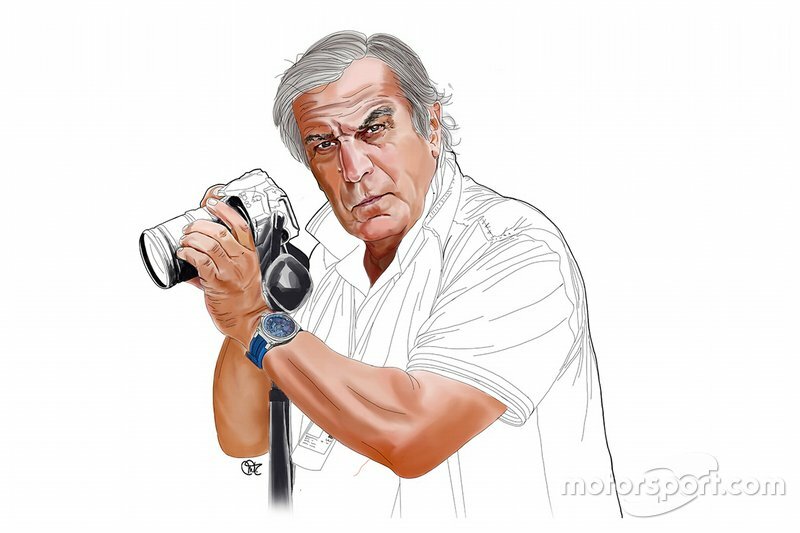 Giorgio Piola and Sutton Images reveal the all-important Formula 1 technical updates on show in the Silverstone pitlane at the British Grand Prix. 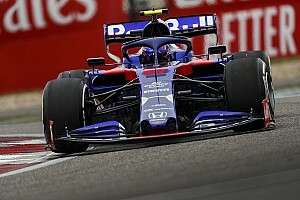 Toro Rosso has unveiled a new set of wing mirrors which follow the same design concept as those used by Ferrari since the start of the season. The open-faced mirror housings improve flow around the mirror itself and its surroundings. 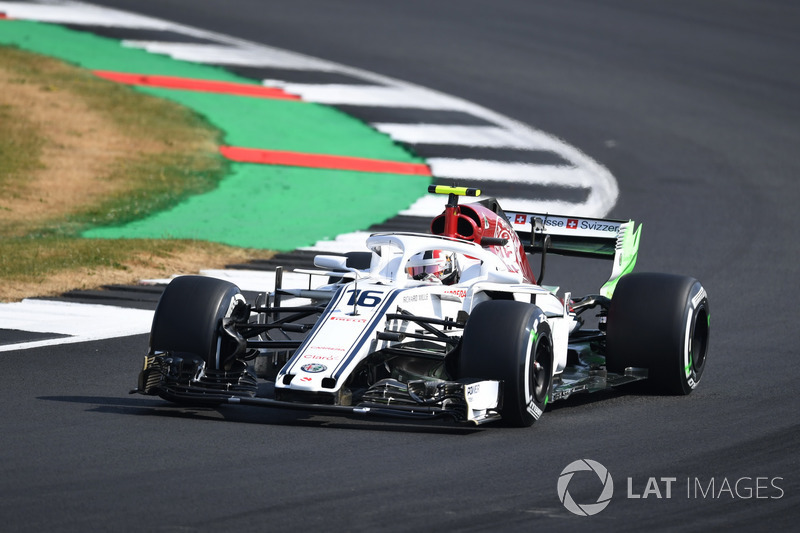 Flo-viz is painted on the rear wing endplate of the Sauber as the team establishes whether the large strake added in the middle of the element is performing the task expected of it. 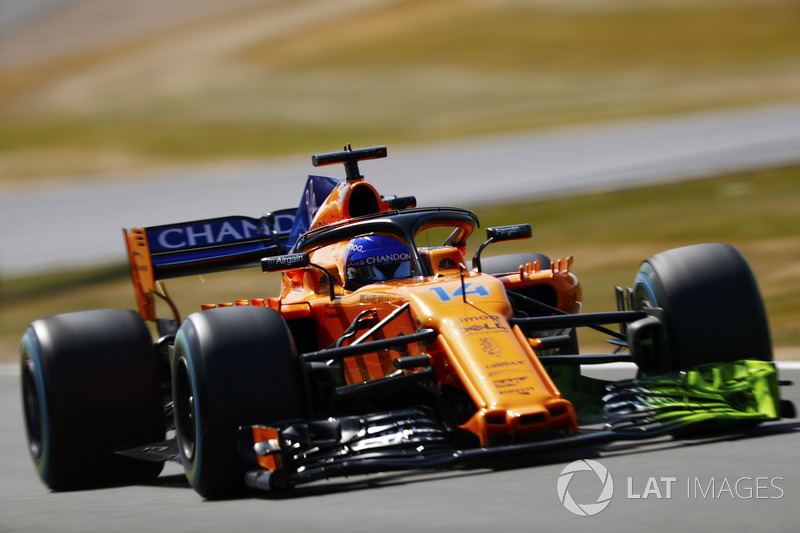 Alonso re-trials the prototype front wing which first appeared in Austrian GP Free Practice. 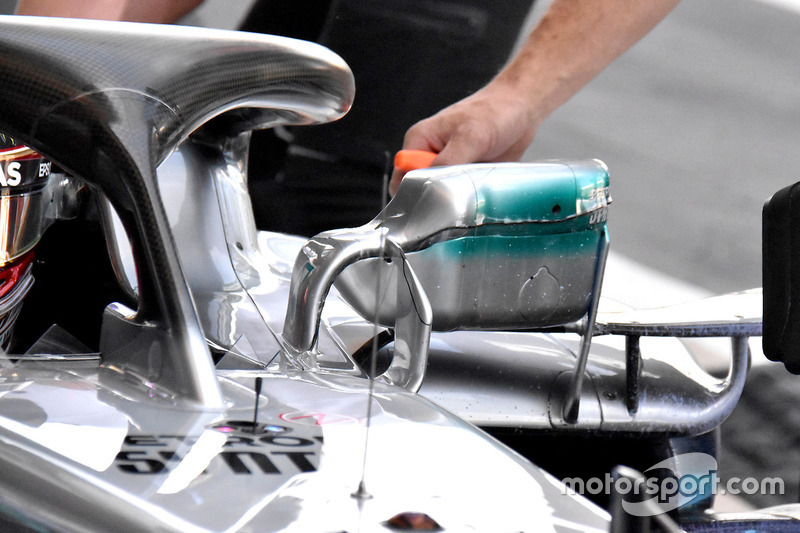 Flo-viz is painted on the wing to help the designers understand if it’s performing as expected. 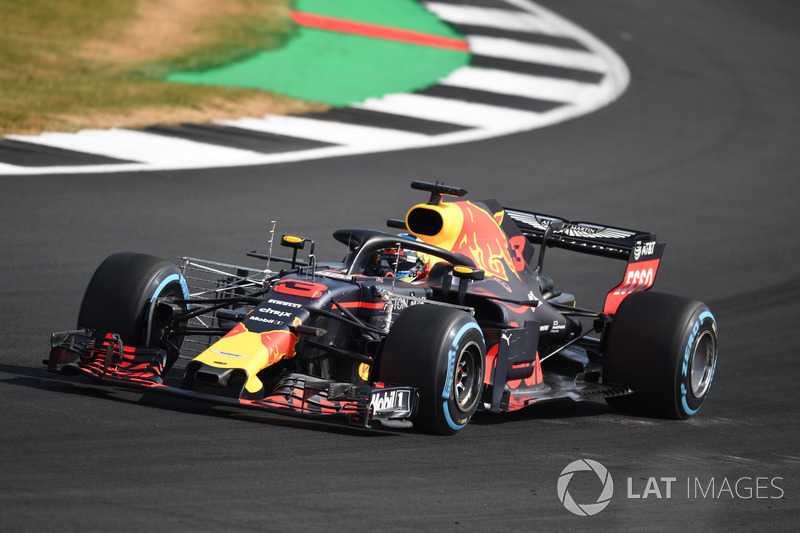 Kiel probe arrays are mounted behind the front wheels on the RB14 during FP1 as the team looks to collect data. 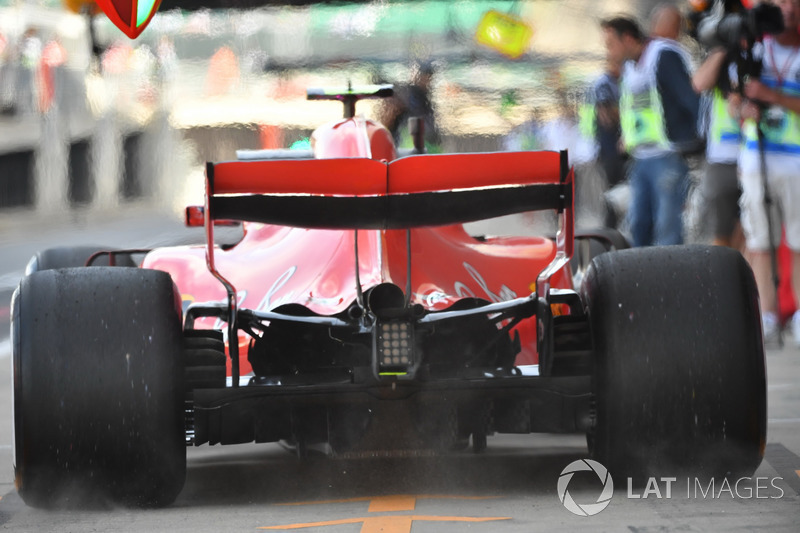 A rear view of the SF71H showing off the spoon-shaped rear wing and tapered engine cover cooling solution. 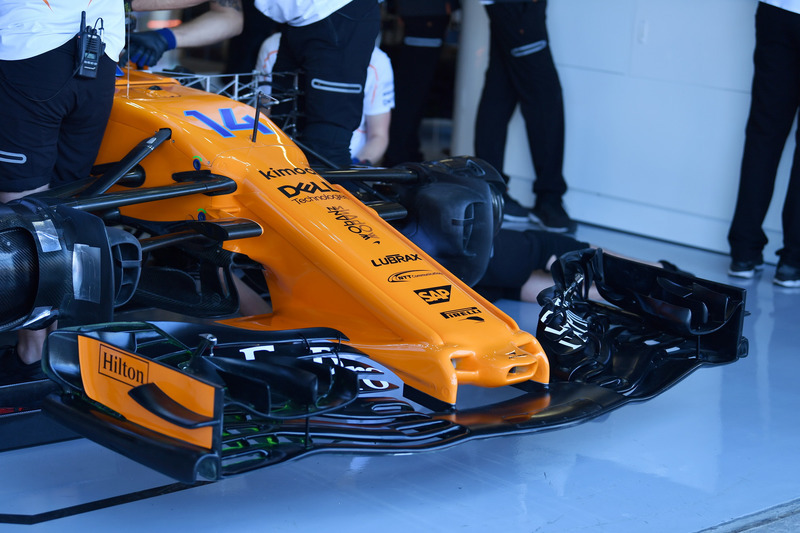 Stoffel Vandorne testing a prototype front brake duct again, having already given it a run out in Austria. 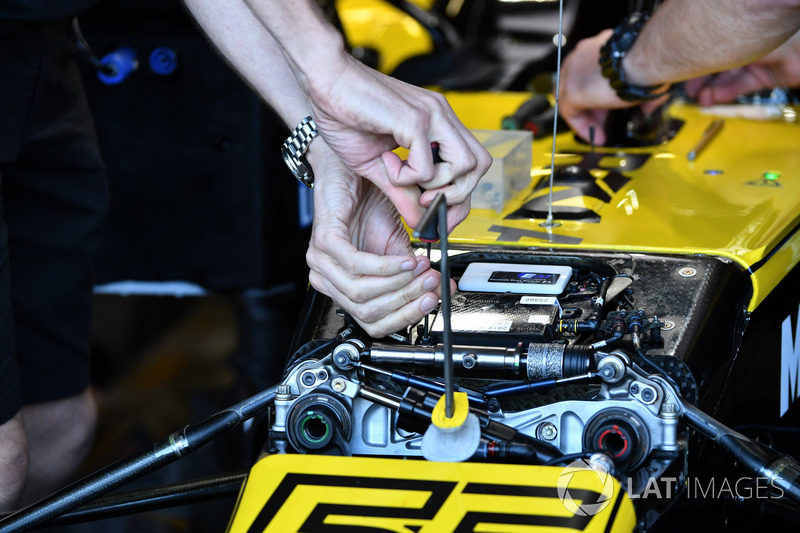 A Renault mechanic makes an adjustment to the RS18 in the pitlane. 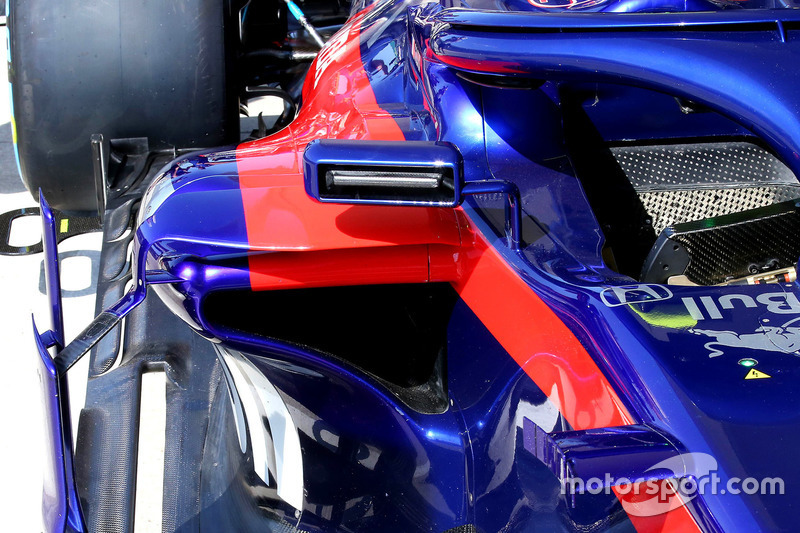 A close-up of the MCL33’s front brake duct sprayed with flo-viz paint. 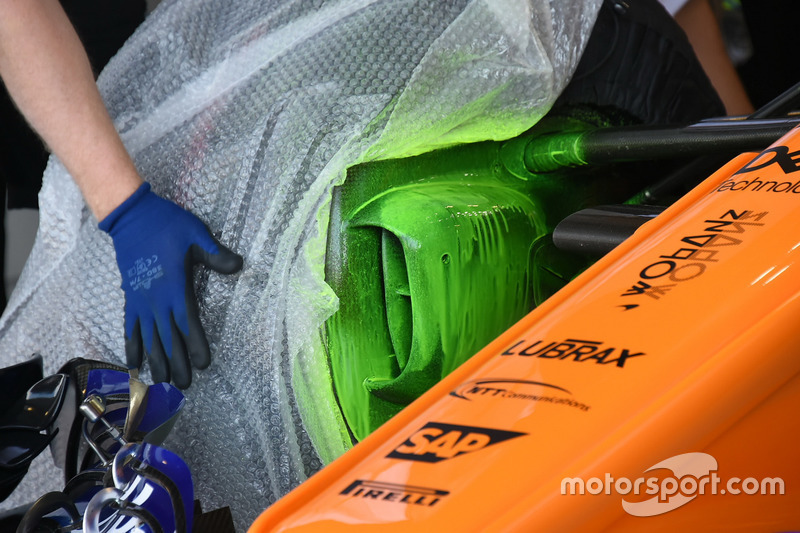 The underside of the prototype front wing mounted on the McLaren MCL33 has been painted in the flo-viz, as seen on the strakes. 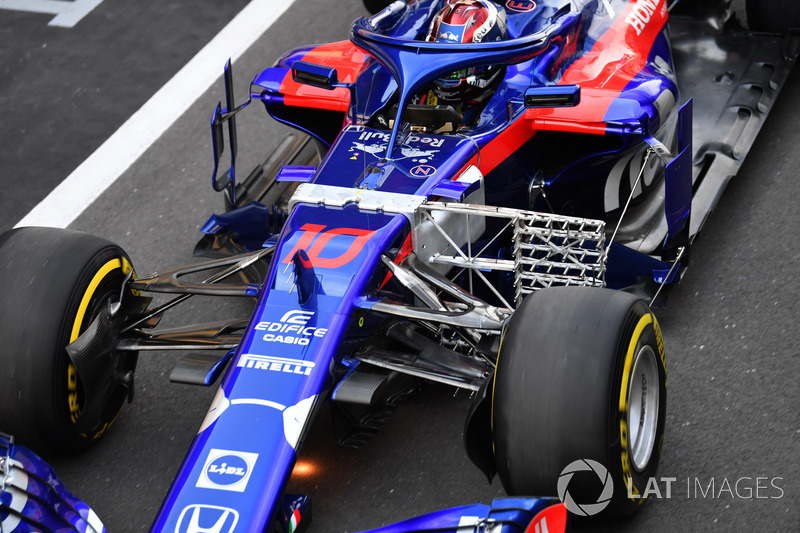 The STR13 with a kiel probe array mounted behind the left front wheel to collect data. 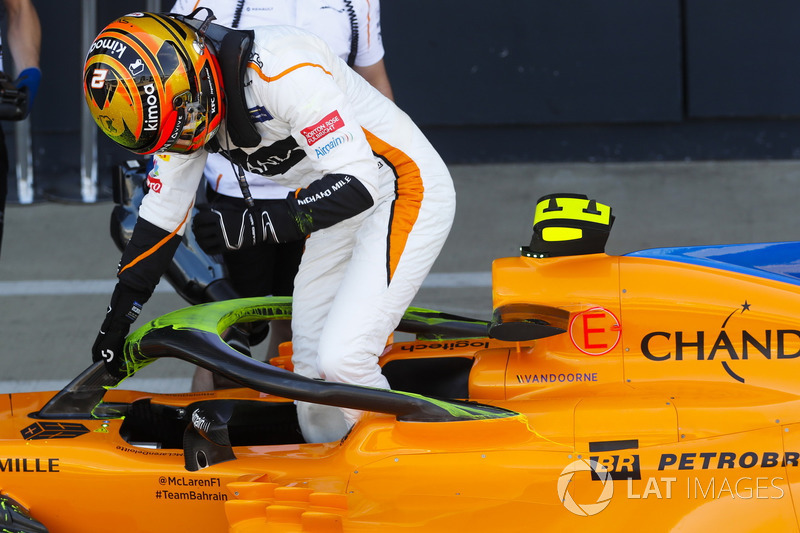 Stoffel Vandorne climbs out of his MCL33, of which the halo has been painted with flo-viz paint. 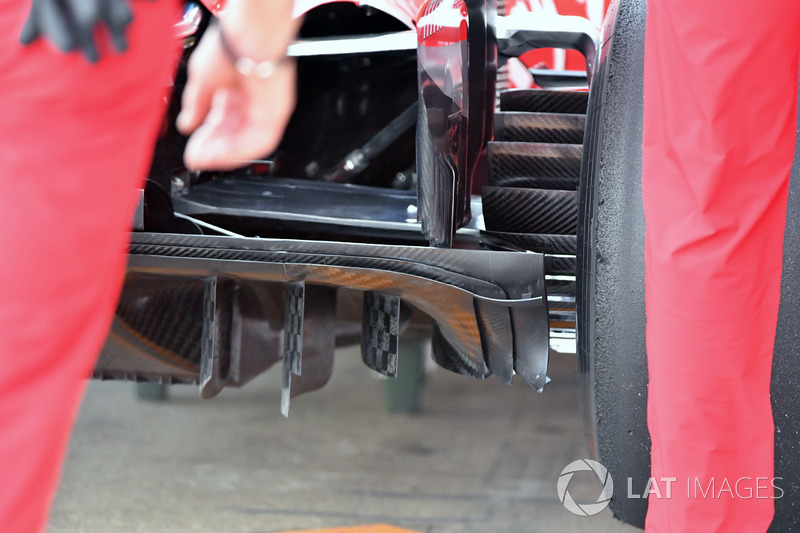 A close-up view of the outboard section of the SF71H’s diffuser, which since its update has more than a hint of Red Bull design about it. 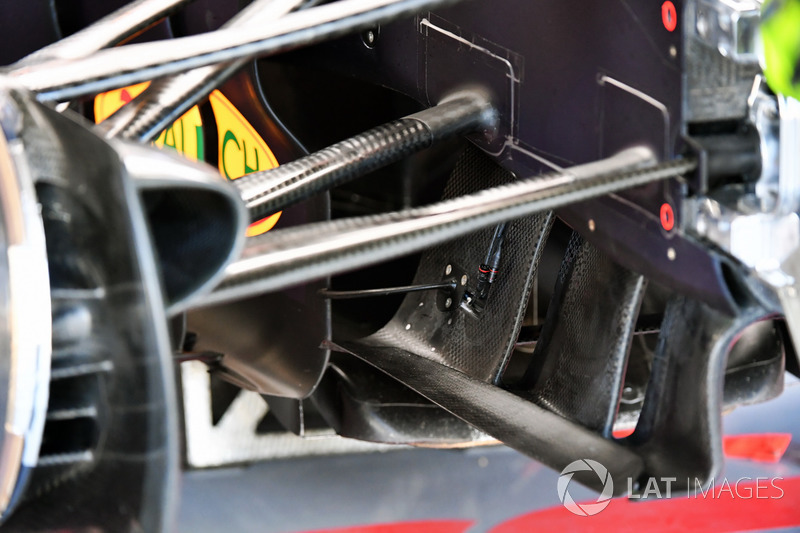 A look at Red Bull’s turning vanes, note the metal support which bridges the vanes to the bargeboards just behind. 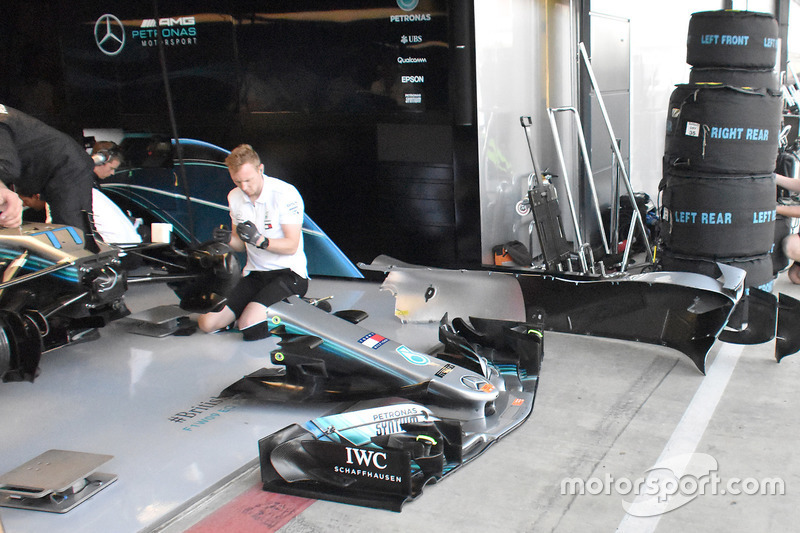 The front wing and left-hand sidepod bodywork removed from the Mercedes W09. 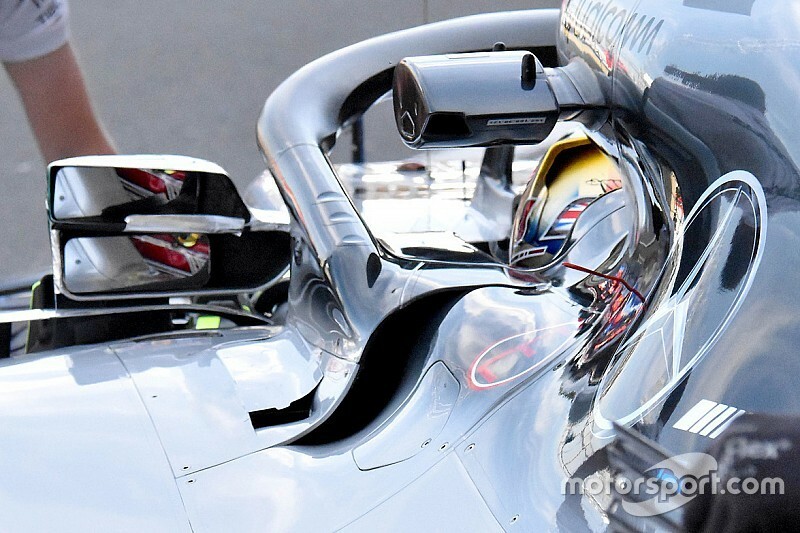 Mercedes added an extra mirror and housing beneath the new mirror and stalks that were introduced in Austria. A thermal-imaging camera is also housed within. 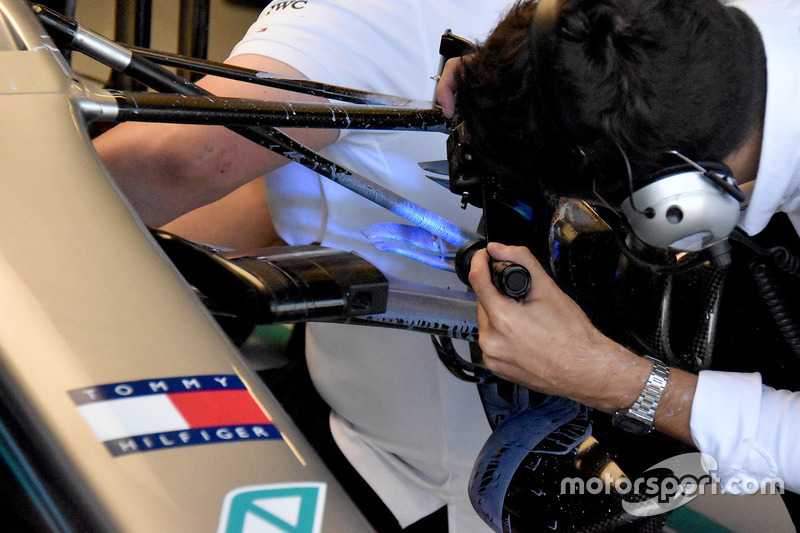 A UV light is used to show up the true effect of the flo-viz that’s been painted on the Mercedes W09’s front brake duct and suspension. 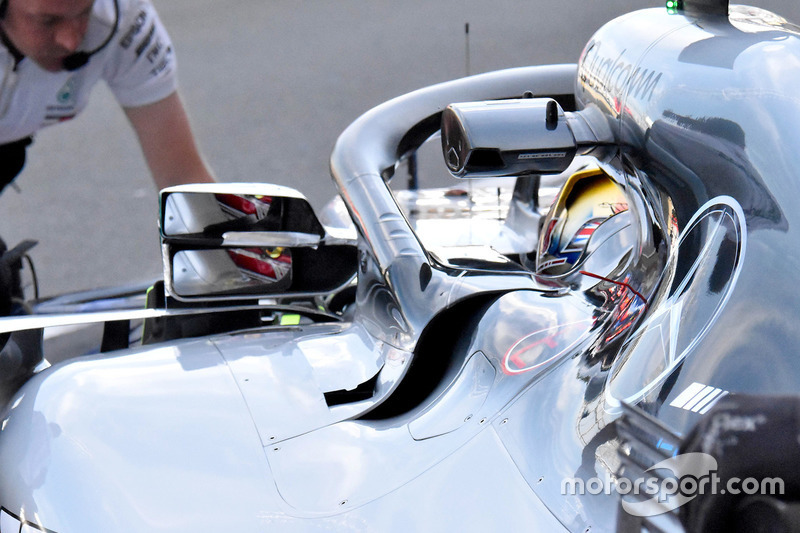 A rearward shot of the additional mirror mounted on the W09 during Free Practice. 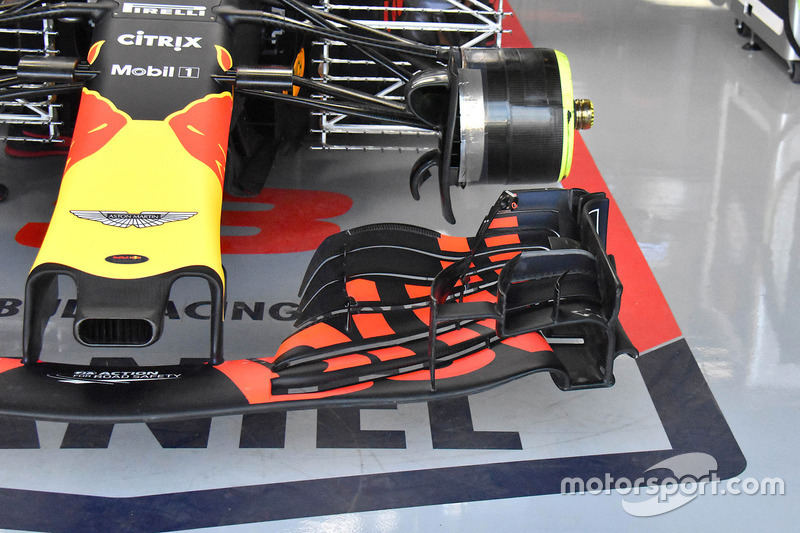 The front wing mounted on Daniel Ricciardo’s car has an extreme cutout, creating a curvature in the upper flaps. 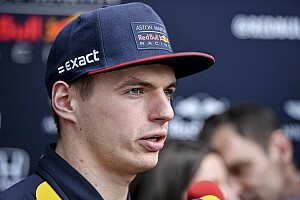 The Kiel probe arrays mounted behind the front wheels collect data on how the airflow is affected by this change. 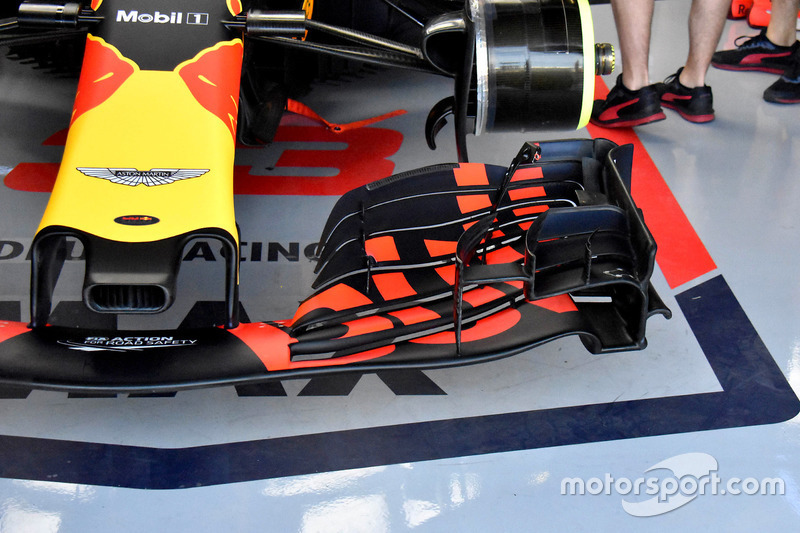 As a comparison this is the wing mounted on Max Verstappen’s car which features the conventional flap design. 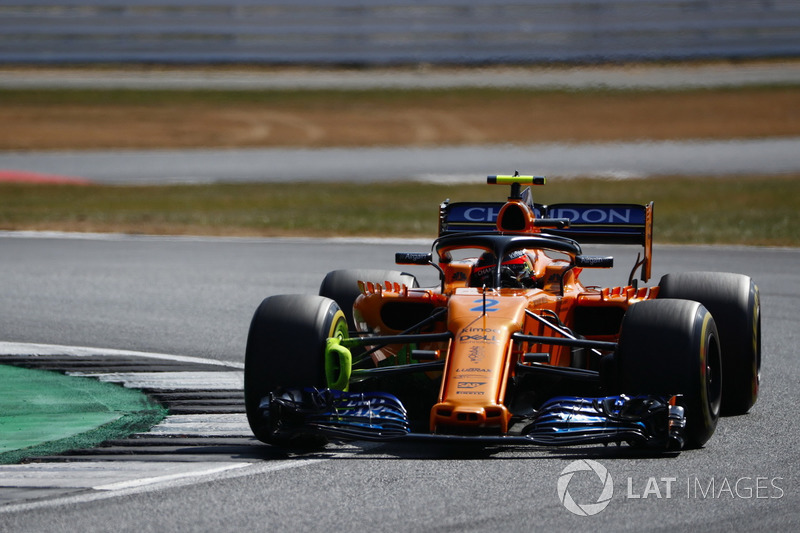 Hamilton: Silverstone's new DRS zone "pointless", "dangerous"